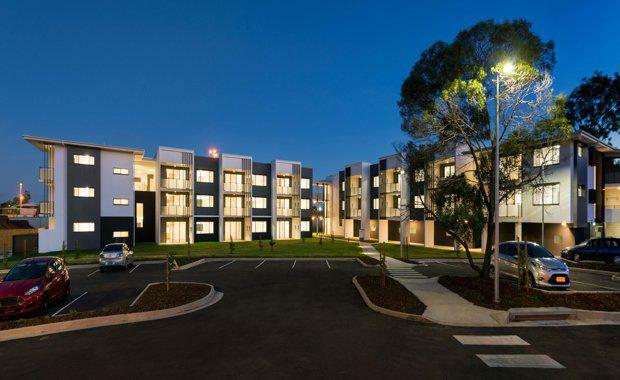 An apartment complex in Brisbane’s south has received the highest level of sustainability certification available from the Urban Development Institute of Australia (UDIA). Completed by Churches of Christ Housing Services in January 2017, Wattle Apartments has received all 6 Green Leaves for its 40 new, thoughtfully designed apartments for people over the age of 55 who previously lived in under-occupied public housing family homes. Developed in partnership with the Queensland Government, the $15.6 million Acacia Ridge project was commended for exceptional performance across all six of the UDIA's sustainability elements of ecosystems, waste, energy, materials, water, and community. On receiving the certification, Churches of Christ Housing Services General Manager Frances Paterson-Fleider said affordability and sustainability fit perfectly together. “This project meets the growing demand for quality and affordable independent living options in established communities,” Ms Paterson-Fleider said. The 40 apartments are complemented by a community centre, community gardens, dog park, children’s play area, barbecue area and mobility scooter parking and charging bays. The development is well located to a range of amenities including retail precincts, public transport, parks, libraries and medical services. Building orientation has been used to maximise ventilation and minimise summer heat gains, as well as make the most of natural light. Residents benefit from an ‘embedded network’ electricity arrangement with Locality Planning Energy, which supports a reduction in household running costs. Other measures highlighted by the UDIA include over 80 per cent of the spoil from the site recycled at a nearby waste station, and local and drought tolerant plant species chosen to reduce the need for irrigation. Ms Paterson-Fleider said that designing homes more efficiently and flexibly is central to making housing more affordable. Churches of Christ Housing Services is ramping up its focus on environmental sustainability, with best practice sustainability features in mind. “Reducing energy bills in our developments has been a key focus, as every dollar saved on power is another dollar that can be put towards providing homes and services,” Ms Paterson-Fleider said. 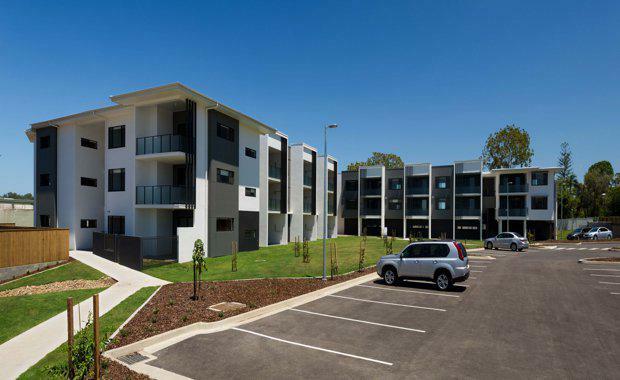 Wattle Apartments is the third project to join Churches of Christ in Queensland’s integrated campus model where community housing, retirement living, residential aged care and community care services alongside other health and integrated facilities are co-located in the one campus. The integrated campus model enables residents to age in place with freedom, independence, privacy, dignity and security.